You can attach a DWF, DWFx, DGN, or PDF file as an underlay to a drawing file. You reference and place underlay files in drawing files the same as you do raster image files so they are not actually part of the drawing file. 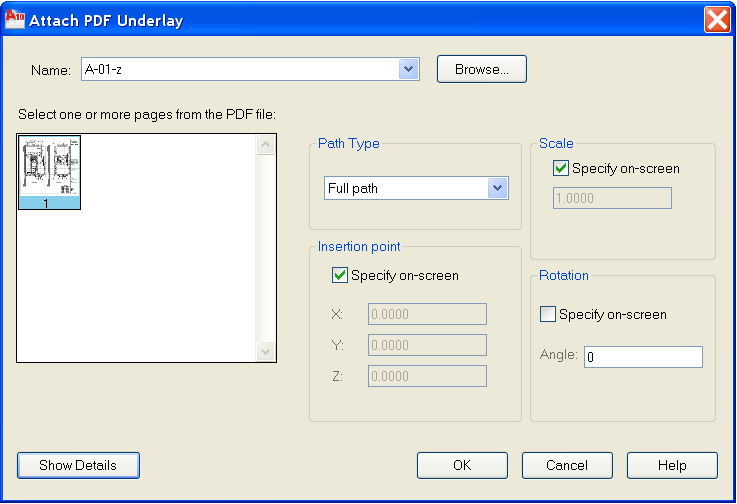 Like raster files, the underlay is linked to the drawing file through a path name. The path to the file can be changed or removed at any time. By attaching underlays this way, you can use files in your drawing without greatly increasing the drawing file size. You can only view DWF and PDF underlays in the 2D Wireframe visual style. DGN underlays can be viewed in any visual style. Note: Although underlay files are reproductions of their source drawing, they are not as precise as drawing files. Underlays may show slight discrepancies in precision. You can use OSnaps with Underlay files. Then select the file you want and hit Open. 3. It will then open the standard attach file dialog box. You can select options as you choose. It comes in as a PDF Underlay. 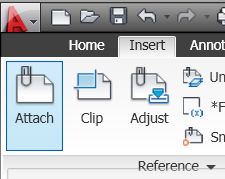 3 Comments To "Attaching PDF Files in AutoCAD 2010"
Can you embed the PDF (or TIFF for that matter if you have raster design) into the dwg? That is, can I have it all be one file and not have to manage the paths and the multiple documents? I’m trying to figure that same thing out myself, Matt. We just upgraded to 2010 here. They seem to show up as Xrefs, but are not bindable like xrefs are. Still working on it. Hope someone has the answer. Please after attaching the PDF file to Auto cad,how can you convert it to poly lines and use it for production drawings. Thank you,from Gideon.